These 240V connectable festoon lights are designed for commercial use and have the build quality to match. The belts and bulbs, either E27 or B22, are purchased separately; simply choose the belt colour you prefer, along with your chosen bulb style and colour, then connect belts together to reach your desired length. Why is FestoonPro so good? Our FestoonPro range gives you the ultimate bespoke weatherproof lighting system. Connect up to 1,000m of quality rubber cable belts, in either black or white, choose and replace bulbs individually from our huge range of festoon bulbs, and create show-stopping displays for any commercial event. *Dependent upon your choice of belts and bulbs. The entire system is rated IP44. Choose and replace bulbs individually. Quality rubber cable construction, suitable for commercial use. 100mm B22 LED festoon bulb. 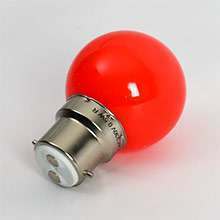 High quality 100mm strobe LED. Durable plastic tipped E27 base. Part of our 240V connectable festoon range. 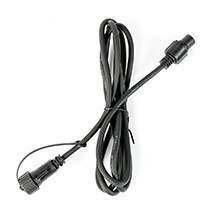 Compatible with E27 & B22 festoon belts. 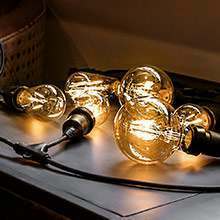 One of the most desirable features of the FestoonPro range is replaceable bulbs. 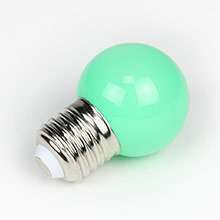 If, for whatever reason, you break a bulb, you simply replace it with another. We're extremely confident in the quality of our festoon lights, and particularly the FestoonPro range, which is favoured by our trade customers. The other major advantage of our FestoonPro collection is how adaptable and versatile it is. If you’re looking to create canopy lighting for an outdoor space or a wedding, or if you’re simply looking to create your own unique light display, the connectable feature of these festoon lights is a huge benefit as a safe and easy way to do so.